I help non-profits reach their fundraising goals within a specific timeframe by increasing media coverage using proven PR tactics. 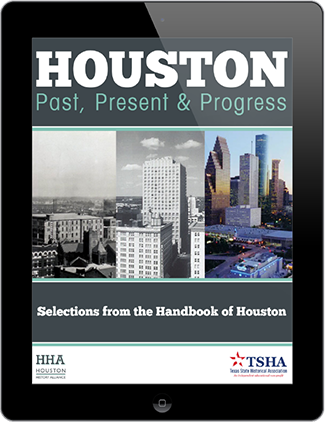 Houston History Alliance needed media coverage to successfully launch their new e-book, Handbook of Houston, to their target audience. I spoke to reporters and told them the stories of dynamic, pioneering Houstonians. Intrigued, they arranged interviews of the Handbook editor. Earned media included digital, broadcast and print coverage including a recurring monthly magazine feature for the non-profit. The monthly column delivers Houston History Alliance new readers, potential donors, and supporters. A reader enjoyed the Handbook story in the Houston Chronicle and made a $1,500 donation to the non-profit. Responding to media coverage a qualified historian expressed interest to the Board Chair about service. The 2-page monthly magazine feature is valued at more than $96k annually. Also secured were multiple print and digital features. On air, our editor shared fascinating stories of historic Houston with an engaged Houston Matters 88.7 News audience. Media coverage of the Handbook launch generated more than 5,000 downloads of the e-book. If I had the bank, I would hire her permanently to run our Marketing and PR. Someday, when I'm Queen, I will do that, but until then, I'll hire her every chance I get. Reach out to schedule a 30-minute complimentary session with me via phone. Share your organizational challenges with me. I'll share some ideas about new directions. We'll determine if we are a good fit to work together on a solution.